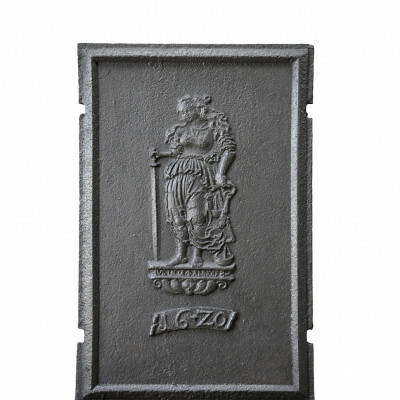 Dating from the 18th century, a cast iron fireback representing a justice allegory. The woman is represented carrying the classic attributtes of justice namely the sword, the balance an finally a blindfold. The sword symbolizes the power of justice, the balance symbolizes the forces of support and opposition and the blindfold is the symbol of impartiality of justice.